A few weeks ago my buddy Loose and I were talking about Fantasy Football. As a nerd dad, let's just say that sports aren't my area of expertise. So Loose suggested that I make a Fantasy Football offensive team using superheroes. So I took the challegne and he said that he would do the same. To take the matter a step further, we agreed to put together a defensive Fantasy Football team to counter each other's offense. Here is a link to Loose's article for his superhero offense. Below is my defensive team. As Loose chose to have 3 wide receivers, so his team has a focus on the passing game. So I needed to bring a defense to deal with that. I chose the Nickel defense which has three cornerbacks as opposed to two (a linebacker is switched for a cornerback, also called a nickelback). Cornerbacks are the players that cover and defend against the wide receivers. DT – Defensive Tackle: These 2 inside players of the defensive line who defend against the run and put pressure on the QB. I chose STRONG GUY and BLOB. Both of these guys have strength, while Strong Guy gets stronger as he gets hit and the Blob…he can’t be moved. He literally fuses with the ground. DE – Defensive End: The 2 outside players of the defensive line who put pressure on the QB and move to either try to sac the QB or tackle a runner. I chose DRAX THE DESTROYER and RAGE. Both of these heroes have strength and agility. Both are mobile enough to hold the line against the run and mobile enough to move through or around the offensive line to sac the QB. I originally planned to counter Loose’s Mutant offensive line with a GAMMA powered defensive line by choosing the Hulk, Doc Samson, A-Bomb, and Red Hulk. Then I thought I’d try to pick a few more “obscure” heroes. LB – Linebacker: LB back up the defensive line and defend against the run and pass. I chose BETA RAY BILL and HYPERION. Both of these are in response to Thor as the Tight End. Beta Ray Bill is an alien version of Thor. Has all the same powers and carries a hammer like his called Stormbreaker. Hyperion is Marvel’s version of Superman. Strength, Flight, eye beams, gets his power from the sun. With these two behind my defensive line, I don’t see Thor as an issue. CB – Cornerback: These players cover the wide receivers and defend against the pass. My number one CB is NOVA, “the human rocket”. This guy is meant to cover Quicksilver. He can more than match his speed and he flies. To match Spider-man as a WR, I chose VENOM. He is the perfect counter for all of his abilities: speed, strength, webbing and Venom doesn’t trigger his spider sense. So he won’t see venom coming. To cover the Slot WR Namor, I originally was going with either Rogue or Ms. Marvel. But Loose told me “he dug deep” for his team, so I chose the CAPTAIN to cover Namor. The Captain is a drunkard who was given Superman like powers by aliens. So he can match Namor in speed and strength; as long as I can keep him sober for the game. S – Safety: The safeties are that last line of defense for the deep pass or if a runner breaks through. As my last line, I first was going to pick War Machine and Iron Man. But this was after a suggestion from Loose, so I thought I’d go out on my own and pick BOX and MACH 1. Both of these armored heroes have various sensors to keep watch of any offensive characters that make it through the first lines of defense as well as an array of devices to take them down. That’s my defense. What do you think? Did I pick characters a little too out of the norm? Should I have “stuck to the basics”? Drop me a comment and let me know. I have to say this was fun. I learned a lot about football. From what players functions are to what’s the difference between the nickel and dime package. I’m actually looking forward to trying my hand at ACTUAL fantasy football. Not saying I’m going to be any good…but I know I’m going to enjoy it. Hope you enjoyed the read. I'm a nerd dad. While I have plenty of other adults...some fathers...that share my love of super heroes and video games there are those times...those slightly awkard times when I'm with a group of guys talking about sports. Whether it is the NBA, NFL, or MBL, I'm usually pretty much SOL during those chats. A friend of mine who I talk video games and super heores with also is into sports When our conversations turn to the game last night or when he makes a playful sports reference to a NFL player, its almost always lost on me as I pause dumbfounded. Recently, he told me of his thoughts about starting a fantasy football league. I immediantly told him I'd participate. I figured I'd support my friend even though I'd be as about successful at fantasy football as an infant is at stockcar racing. Then my buddy had the awesome idea of having me make a fantasy football team with superheroes. We both figured I could have a little fun and learn more about football in the process; learn more about a topic by relating it to something I'm not only familiar with, but passionate about. I also figured as I'm sure I'm not the only nerd who has been in that awkward guy sports talk situation, so thus this article was born. I'll start with "drafting" my offensive players and I'll pick them from Marvel comic characters. QB - Quarterback: Most always the leader of the team (there are a few exceptions). Needs to be intelligent, inspiring, confident, adaptable, aware (of the field) and accurate throwing the football. My initial choice was Daredevil. His radar sense makes him extremeply hard to surprise and aware of his surroundings. Although with all the things going on the field and the noise of the crowd, it would probably be too much for his enhanced senses. SO I chose CAPTAIN AMERICA as the QB. There are few comic characters who are more inspiring or a better leader. As CAP is superior fighter, he is able to adapt to almost any challenger(s). He's also mastered accuately throwing his shield, so throwing a football should come natural to him. C - Center: Touches the ball on every play and hikes the ball to the quarterback. He calls out audibles and positions to the guards and tackles. Needs to be strong, tough, and intelligent. Doesn't move much. I first choice the Blob as I couldn't think of anyone better to be rooted to a spot to hike the ball. I also thought of the Hulk, as Hulk is "the strongest one there is". Then I found out how the center needs to be strong and intelligent. He signals the offensive line to make adjustments and snapping the ball is an important job. My center is the ever lovin' blue eyed THING. The THING was a football star in college so he knows the game, he's incredibly strong and durable as well. Finally, while he's not a genius (he leaves the brainy work to Reed Richards), he's a thinker. He not just a dumb brute or a savage brawler. LG/RG - Guards (left and right): Their job is simple, to protect. For the most part, it involves protecting the quarterback while also protecting the ball carriers. Guards need to be tough physically and mentally. Disciplined enough to stay still until the play starts while also being strong enough to hold back the defense. Besides being strong, they also need to have nimble hands and feet. I chose DOC SAMSON and SHE-HULK. I know their aren't any ladies in the NFL, but this is Marvel so let's not be exculsive. Both these gamma powered heroes have the smarts, speed, and strength to be effect in the guard position. Not to mention both of them can take a hit, and hold the line. LT/RT - Tackles (left and right): The Offensive Tackles are also tasked with protection. In fact I wasn't sure what the difference between Guards and Tackles was. My buddy Loose, broke it down simply for me. Guards are for protection for the run, while Tackles are more for pass protection. So Tackles need the same attributes, but I also think they'd need to be aware of their surroundings to watch for the defense trying to sack the QB. I'm thinking I'd choose IRON-MAN and WAR MACHINE. They are a good team and complement each other. Few defensive players would get past them. Its also my understanding that where you place your stronger offensive protection players depends on whether your QB is right handed or left handed, that way you give more protection to his "blindside". 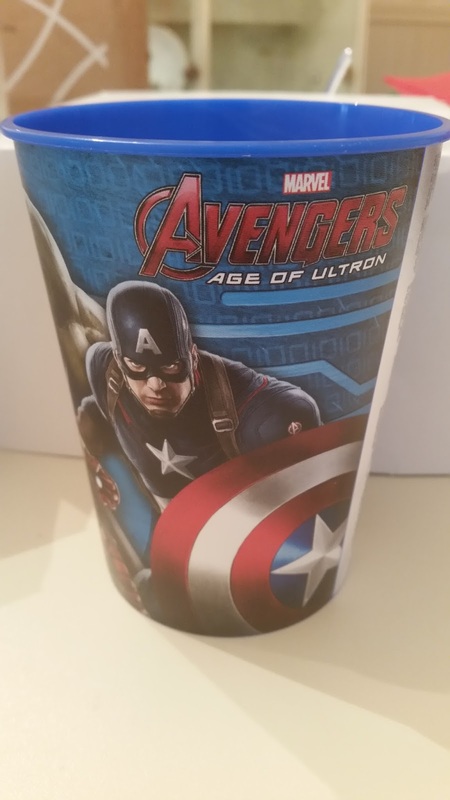 So IRON-MAN and SHE-HULK are going to placed on the left side as I believe CAPTAIN AMERICA is right handed. TE - Tight end: The tight end acts as both a pass protection/blocker and another wide receiver if need be.So the TE needs to have speed, intelligence, as well as be tough enough to block defensive opponents. My first thought was Namor. He's got speed, strength, and is disciplined enough to follow routes. Then I thought about it and Namor is arrogant and a hot head. While Namor will take orders, his pride could keep his from following through especially if he feels his way is better. So I chose MS. MARVEL/CAPTAIN MARVEL (Carol Danvers). She also have strength, speed, and the discipline of a military officer. She'll follow her routes without question and if she needs to block,she's packing Kree enhanced strength to protect the ball carrier or QB. WR - Wide Receivers The offense I chose has two main wide receivers, although you can have more. WR need speed...period. They need to be able to react quickly to shake and outrun persuers. They also need to be able to catch the ball. I chose QUICKSILVER and NORTHSTAR. Marvel doesn't have the abundance of "speedsters" like DC does. Still, these two guys are amoung the fastest. As they're so fast, I'm sure they could catch whatever is thrown at them. RB - Running Back: The running back is a player that runs with the ball. The RB needs speed, awareness, and finese. I thought speed was most important for RBs and was planning to choose Quicksilver, then I thought of Barry Sanders (former RB for the Detroit Lions). Barry wasn't the fastest player, but what he did well was find holes in the defense to run through and shake defenders away by reacting quickly and changing directions.So this prompted me to choose SPIDER-MAN as my RB. I honestly am one of the few folks I know that don't like the webhead. Still Spidey has speed, but more importantly, his agility and spider sense would help him avoid the defense. FB - Full Back: The offense I'm using is more run based, other more pass centered offenses might not have a full back. The full back is a blocker that makes holes for the RB to go through, provides pass protection for the QB, and carries the ball for short yard runs. I considered the Rhino for this. He's strong, tough, and has no problem charging in. While I think that the Rhino is a good choice, I went with JUGGERNAUT. Pretty much for the same reasons, he's strong enough to charge his way through the defensive line, but also strong enough to hold the line for the QB when passing. So that's my MARVEL fantast football offensive line up. Next time I'll post my defensive line up. I hope this helped you, even a little bit, with understanding some of the positions in football. What do you think? Do you agree with my choices or do you have others you think would work better? Whether you're a nerd dad like myself or a film watcher who doesn't know the difference between the Green Lantern and the Green Hornet; I'm sure there's one thing we can agree on. The Fox 2015 film remake of Fantastic Four was. .. not a good film. Ok, it stunk... it was the opposite of fantastic...or you could say it was a fantastic flop. Now before you start thinking that my negativity comes from the fact that i don't think the movie was 'true to the comics', let's discuss this. Who am I kidding, no one cares about spoilers at this point? Ignoring comic accuracy, the movie was extremely slow. The heroes didn't get their powers until two-thirds of the way through the movie, and the villain didn't show up until the movie was over. Slow movies don't bother me, as long as the characters are developed well Especially with GOOD superhero movies, you have to find a balance between developing the character of the hero (and villain), empowering the hero (and villain), and finally having the hero/villain conflict. This movie didn't do well with any of that. I liked it. Yep...you heard me right...I liked this movie. Well that leads me to what the Fantastic Four movie taught me. 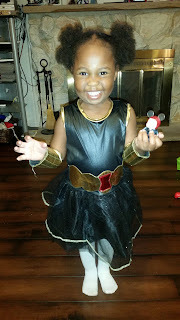 As a nerd dad, I have a blinders on when it comes to superheroes. I've been watching superhero movies for as long as I can remember, and I liked just about all of them. To be fair, when I was a kid, superhero movies weren't as abundant or profitable as they are now. Frankly most of them stunk... And what's crazy is I know that the movies stunk and I found something good or cool in them that I liked. I watched the Fantastic Four movie and I found thinkgs that I liked about it. Even with the weak plot, the bad pacing, drawnout story...I defy logic and found some way to like this movie. Watch for my follow up article, where I review my favorite bad superhero movies. What are the worse superhero flicks that you've seen... and liked??? Like most nerds, I usually have at least one thing or another that I obsess a bit too much over. Whether it be comics, Magic the Gathering, Heroclix, Pathfinder, or whatever, nerds can get really passionate about something...even if its just for a short time. My geeky drug of choice lately has been playing Fallout 4 on PS4. 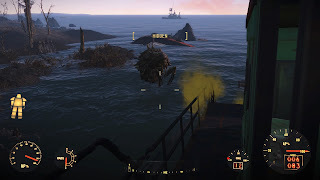 For those thinking of playing Fallout 4 or who are already, here are a few tips that I found have made playing more fun. Plan out your character ahead of time - Thinking about your character before you turn on the game seems like a waste of time, but its not. Deciding what kind of character you want to make before hand actually speeds things up. Want to make a sneaky sniper, a brawny melee fighter, or what about a tough, shoot from the hip gunslinger? Think of the perks that will best enhance your character and either make sure you have the necessary required stat or are working up to them. My buddy wrote out a page and a half backstory for his character. His paper had notes in the margin and parts of paragraphs scratched out. As geeky as that sounds, it actually helped while he played. When it came to making a dialog choice or what quest path to take, he had a point of reference for his character's motivations. 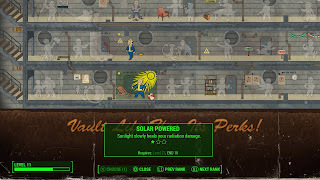 I wanted to make a tough guy that had the Solar Powered perk. SO I made sure that I started my character with a 10 Endurance or for my sniper I made sure that I had an 7 for Agility and a 7 for Perception. The clothes make the man - As you travel throughout the commonwealth, you'll find various appearal that can change your stats. A hat that gives +1 Perception or a suit that grants +2 Chrisma... by taking a few seconds to change your outfit, you can have better dialog interactions or bonuses when you level up. When I'm about to barter or have some dialog, I shead my armor and put on Reginald's suit (NO SPOILERS), a Milita hat, and Fashionable Glasses for a +5 Charisma boost. Or when I'm about to end a quest, I don the Liam's Glasses, Ushanka's Hat, and a Vault-Tec lab coat for a +5 Intelligence boost. 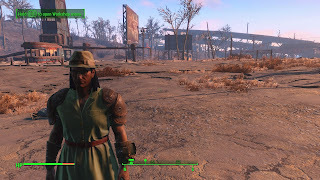 Find your window - Fallout 4 is so massive and with playing multiple characters, it can take up a lot of time. So if you're a nerd that doesn't want Fallout 4 to cost him/her their job or a nerd dad that doesn't want to end up angering your spouse into hiding your joysticks...you need to find a balance. Finding a "safe" time to play can save you some heartache. My window ended up being 4am-5:30am before work. I get up early and play before I start my day. The kids and mom are asleep...no one to distract or anger, the house is mine at that time and I'm free to play. I hope these tips help you enjoy playing Fallout 4 more. Watch for follow up Fallout 4 articles. 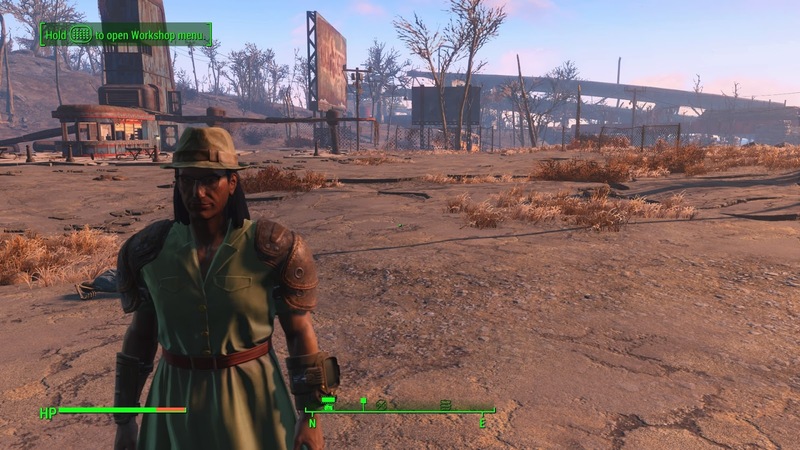 Do you have any tips for playing Fallout 4? As a nerd dad with three daughters and who is part of a Disney family, I thought I was destined to drown in princess gowns and pixie dust. So when Marvel was bought by Disney, I saw a ray of hope for getting my girls into superheroes. 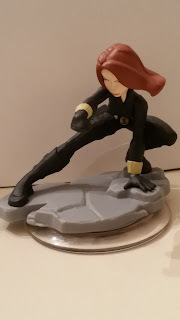 Disney Infinity was the first way I introduced my girls to the awesomeness that is the Avengers (they are still a little too young to watch the movie). Both CJ (age 6) and Ava (age 3) fell in love with Black Widow. We played together on PS3 for hours, saving the city from Frost Giants and stopping Loki. Next Disney XD gave us the Avengers Assemble animated series which strengthened their love for Black Widow. The girls liked the other heroes too, but Black Widow let them be super and "girlie"
It came time for CJ to go to first grade and Ava to start pre-K and they both needed backpacks. 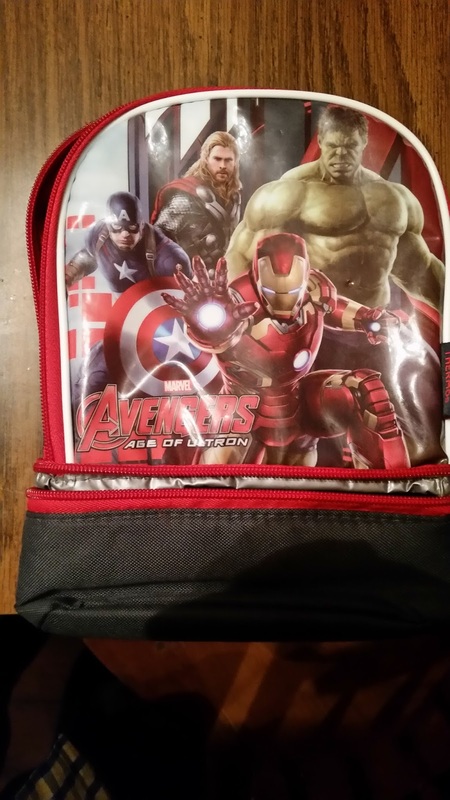 CJ wanted a Disney Princess backpack while Ava asked for an Avengers Backpack. It almost brought a tear to my eye. My little princess ASKED for the Avengers over Frozen/Queen Elsa, and all the other addictive frilly Disney "princessness. "Ava did have one request. She asked for a bag that had Black Widow on it. This was around the time after Avengers: Age of Ultron, so I figured it was going to be a simple task. I was wrong... oh boy was I wrong. 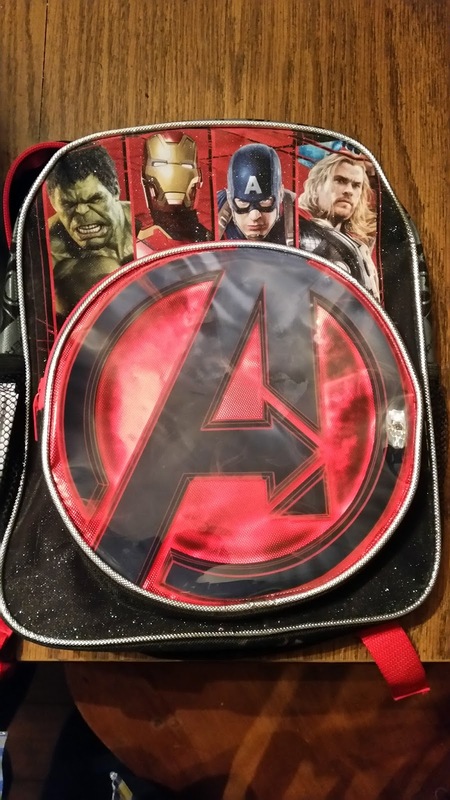 I found at least six different variants of Avengers backpacks that featured characters, but only ONE of them included Black Widow. And that particular one was out of stock. The trooper that my daughter is...she accepted the backpack that had Captain America, Iron Man, Hulk, and Thor on it. Then she needed a lunch box and I had similar issue finding one with Black Widow on it. 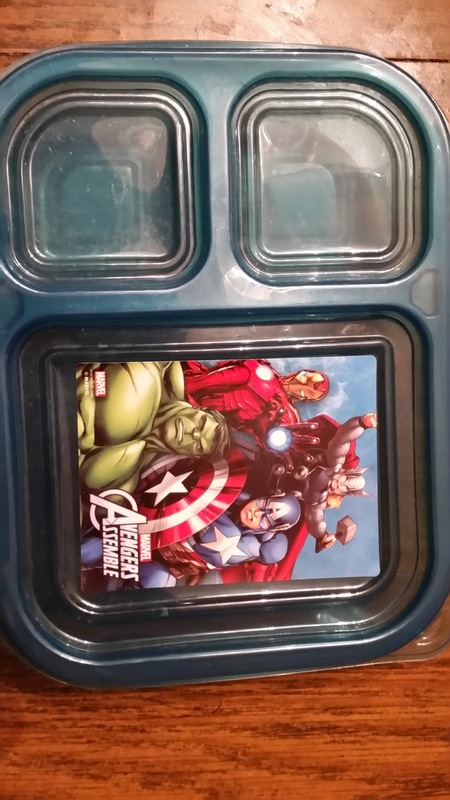 I also happened to find an Avengers Assemble themed plastic container. I thought this would be awesome for Ava's to carry in her lunch bag. Care to guess who were the characters featured on it? 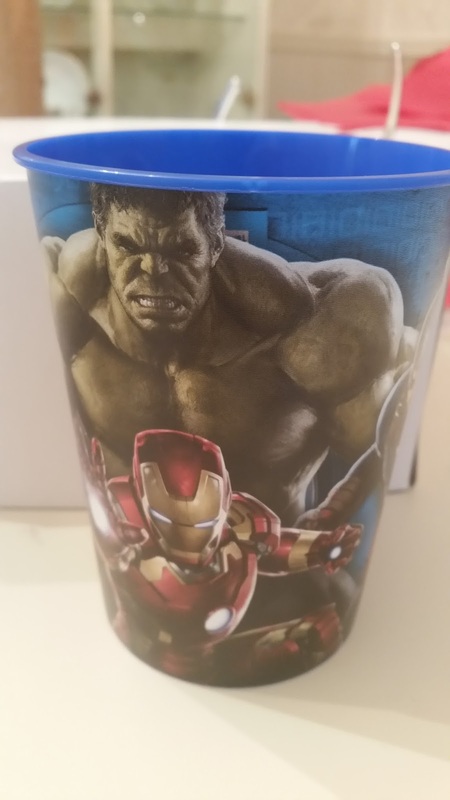 Captain America, Hulk, Thor, and Iron Man... yep no Black Widow. I was begining to wonder if they forgot she was part of the Avengers, As if the Avengers was some type of He-Man woman haters club. 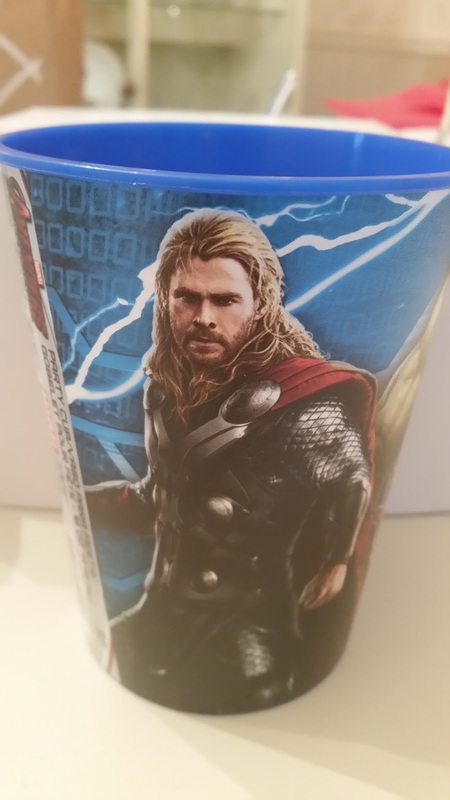 To be fair, the lunch box, well its more of a lunch bag, the container, and the backpack didn't have Hawkeye, Vision, or Scarlet Witch on them either, but I digress. There is a point to this rant,a reason that I'm harping on the Avengers lack of Black Widow. Fast forward to Halloween and the time for the girls to get costumes. My wife ended up finding both a Black Widow and an Iron Man costume on sale. She got them both. Ava tried on both costumes and chose to be Iron Man for Halloween. 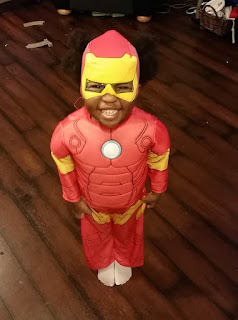 That's right...she chose to be Iron Man over the Black Widow. The punchline of this article comes in the form of what Ava asked for for Christmas. 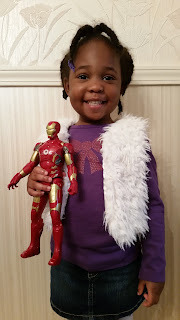 She (and I quote) said she wanted "A Iron Man that talks". The nerd pride that gleamed from my face could've been seen for miles I wager. I didn't even know if the toy existed. We didn't see any commericals that advertised anything like that. Still, I was determined to find one. I did and Ava loves her Iron Man.